The lining is not supposed to be attach at the front neck, according to the instruction sheet. 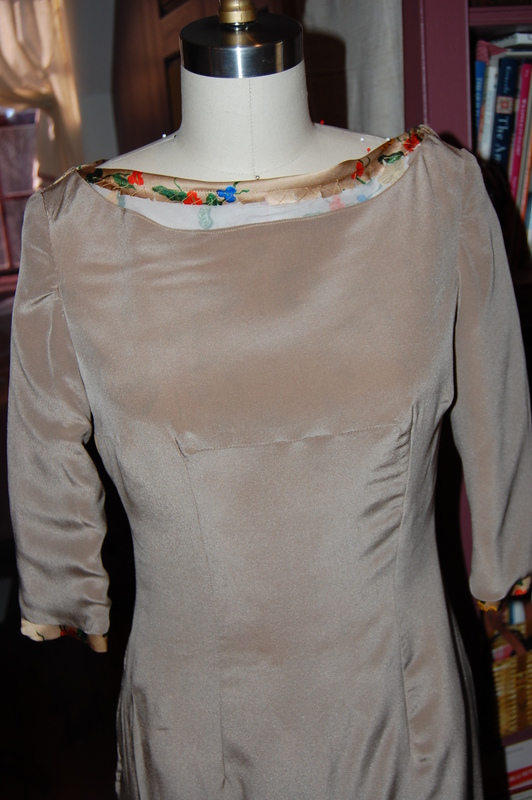 In order to finish the neckline without adding any bulk (which would surely show up on that wide bias expanse), I stay-stitched and then catch-stitched the raw edge to the organza underlining. Not as finished a look as i would like, but it works well.